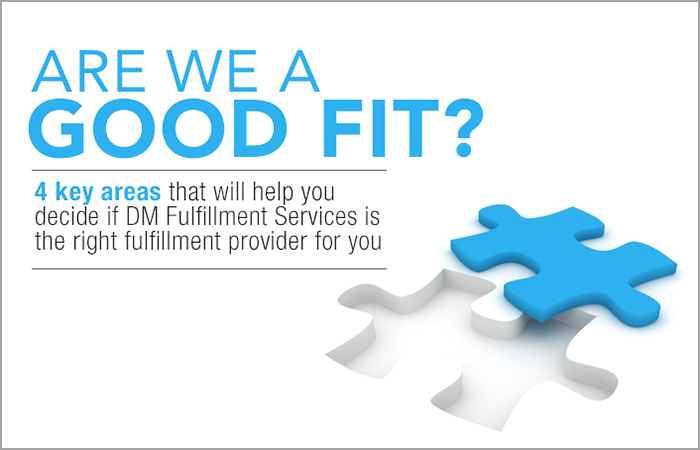 We receive inquiries daily from merchants and manufacturers looking for fulfillment services. And, while we’re excited about new opportunities, our goal is to earn business that creates a win-win partnership. Think of it like filling a job position. You post the job description knowing you won’t find a candidate who meets ALL of the criteria 100%, but you’ve likely established key skills needed for long-term success. DTC and retail drop-ship to end-user – This is our sweet spot! While we can handle bulk fulfillment, we’re experts at small to medium sized package delivery direct to consumer and have the integration capabilities to support your online retail relationships. If you’re struggling to ship eaches, give us a call! Order volume – This can be tricky, every opportunity is unique. We’d love to say we can accommodate all order volumes and variations, but ideally we’d like to partner with experienced brands that exceed 50 orders per day and meet our monthly minimum of $5,000 in service revenue. This is optimal for maximizing efficiencies and aligning with our core competencies. Automated ordering through one of our integration partners – We have established connections with many of the leading e-commerce platforms. If you’re already doing business with one of these partners or you’re planning to in the near future, we might be a good fit for your fulfillment. Integration allows orders to flow through unassisted meaning less human intervention and more cost-effective business for both parties. Some things we just can’t do – provide climate-controlled storage, clear your products through customs, be your importer of record, offer storage only services, accept Hazmat goods or provide AIB or FDA certification (however, we are FDA registered). Making sure your service providers are a good fit takes in-depth, upfront conversation about each other’s expectations. You’ll be able to avoid some unexpected costs and disappointment if your key objectives and their operational strengths align.